When 32 year-old Mutta is accepted into the astronaut program at JAXA, he'll have to work hard if he wants to fulfill his dream of becoming an astronaut. Brothers Mutta and Hibito spotted a UFO as kids, which led to a promise. Mutta has forgotten about the promise, but Hibito hasn’t and decides to give him a little push. Aiming for the goal from his youth, Mutta has managed to be accepted for the New Astronaut Selection Exam, but feels uneasy about his second interview performance. As more applicants are weeded out, Mutta realizes that people believe his brother's influence is what has allowed him to get so far. Serika seems to take an interest in him. As the second round of examinations are coming to a close, Mutta's worries begin to grow. Kenji manages to get Serika's e-mail, in the hopes of cheering his friend up. Hibito invites his brother to visit him at NASA in Houston. It isn't exactly what Mutta was expecting, as Hibito expresses disappointment in his lack of competitiveness. During Mutta's visit with Hibito JAXA learns of the head butting incident that got him fired from his previous job. Could this mean the end of his journey to Mars? Hibito notices the change in Mutta's behavior and suspects something isn't right. Meanwhile, Hoshika struggles to convince another JAXA judge to change his mind about Mutta. After apprehending a fire extinguisher-wielding robber, Mutta becomes a hero! To add to the good news, his parents inform him that he's passed the second examinations. On his flight returning to Japan, Mutta has an unsettling dream. But there's still something to celebrate, so he goes out with Serika and Kenji in honor of passing their exam. Mutta starts questioning his astronaut motives. On the way to a secret facility, each applicant must fill out a survey about the others, while Kenji notices something strange. The final candidates are split up into three teams and sealed for two weeks to determine who would be ideal astronauts. Their first challenge is to figure out what time it is. The teams' second challenge is food supply management. As Serika deals with hunger, she thinks back on the time she asked her father about the meaning of her name. The exam continues with a variety of mental and physical tasks. The latest, is to write a letter opposing a journalist who is against government funding of space exploration. As Naoto recalls how his focus on work kept him from his daughter, his glasses break when they are accidentally stepped on, and he is determined to not let it hinder him. Team B is put on edge when an alarm goes off in the middle of the night. Meanwhile, Team A realizes their clock has been smashed. Despite this, they are given a new task. With the puzzle challenge complete, Team B continues to be plagued by the controlled alarm. 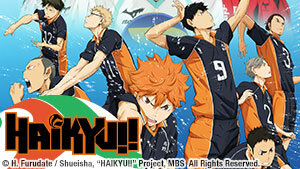 Soon, Team A faces a food shortage and an alarm issue of their own. Mutta figures out who was behind the alarm troubles and why. Later, Serika confesses to Mutta regarding her own involvement elsewhere within their troublesome times. Mutta is given his own green card, prompting him to be rather annoying. Team B continues facing issues and Kenji is put under pressure to withdraw from the selections. Mutta reveals they don't have any food left for tomorrow but manages to gather ingredients to make udon. Meanwhile, they must choose two people to become astronauts. As the last day of the exam arrives, the teams are told to do what they want for the rest of the day. Team A struggles to decide on a method of choosing two astronauts. The third exam comes to an end and Team A is met with applause. It is discussed that those who weren't selected may still have a shot. Yasushi visits a much-admired professor. The JAXA staff discusses which of the remaining candidates to select. It is then revealed that NASA will select one male to join the others. Mutta reflects on his bad luck. Mutta learns of his departure time from JAXA and of who was chosen alongside him, deciding to head to Houston ahead of schedule. E24 | The Worst Possible Interviewer! As Hibito trains to use a space vehicle, Mutta does some lawn mowing for Ozzy. 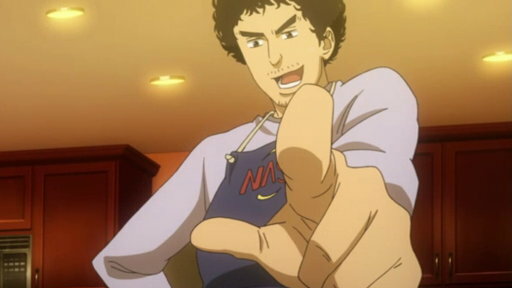 Later, Mutta has dinner with Jennifer and Lowry, where he learns of the examiner for the finals. Mutta witnesses Hibito piloting a jet craft, reminding Mutta of how he came to support him. A week before the launch though, Hibito is moved into quarantine! After the interviews end, the candidates have a celebratory meal with the examiners. Unbeknownst to them, the interviews are a decoy intended to drop their guard. When Azuma asks a particularly severe question, Mutta gives an honest reply that is similar to how both Azuma and Hibito answered the same question. Hibito recalls how Mutta was bullied by those who didn't believe him about the UFO. In order to stop the bullying without resorting to violence, Hibito concocts a plan. On the night before Hibito's launch, Mutta’s mother visits to expresses her concerns about it. Even though weather may delay the launch, Hibito is optimistic. While searching for Apo, Mutta meets a strange NASA employee who takes him to some abandoned training facilities where he gets a spectacular view of the launchpad. 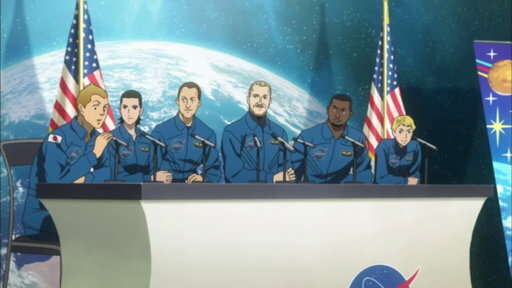 As Hibito and his crew finally make it into space, Mutta remembers when he and Hibito attended a broadcast that gave him the encouragement to become an astronaut. As the candidates celebrate the launch, they’re told to head back to Japan until the results are announced. Mutta opts to stay in Houston until his brother lands on the moon. As the Orion approaches the moon for landing, Hibito receives a video from Mutta. The whole of Japan tunes in to watch the live broadcast of the moon landing. On the moon’s surface, Hibito notices something shiny. Meanwhile, Mutta arrives back in Japan, and becomes paranoid that he’s used up all his luck. 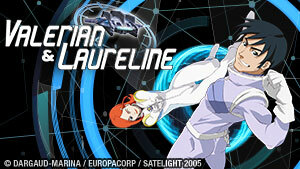 As Kenji receives his call from JAXA, he thinks back to how his life used to be. In particular, he remembers how he met the one who told him about the astronaut program. Serika visits her father's grave after hearing about her results and she recalls her childhood and her inspiration to become an astronaut. Hoshika decides to help reveal the exam results and, after calling Mizoguchi, he asks an increasingly anxious Mutta to meet him at a park to personally deliver his results. Mutta heads straight to the conference and gets through it. Later, the gang gets together and Naoto joins them in celebration while Yasushi sends Mutta various texts. Mutta and the others begin their first day at JAXA, while, on the moon, Hibito and Damian struggle with the tricks the moon plays on perception. Unable to contact Houston, Hibito is separated from Damian. While searching for his partner, he makes a discovery - but it might be too late. NASA discusses plans to aid the astronauts, but Hibito’s oxygen is dwindling fast. Mutta is certain he can help save them, but his advice may fall on deaf ears. Hibito has the option to fire a flare and alert Houston of his position, or use it to help Damian. With ten minutes of oxygen remaining, he decides to take a walk. Hibito finds the memento left by Brian, his mentor. While reminiscing about him, the oxygen in Hibito’s suit runs out. While heading back to base, Freddy Saturn and Buddy Walters discuss what Brian taught them. When Mutta and Hibito finally see each other, Hibito gives him another promise. A visit to Sharon pushes Mutta to fulfill a few promises. Then, as they receive their official jumpsuits, Mutta and the others are given some big news. The astronaut trainees head to Houston! Mutta attracts some serious attention at the airport, while at NASA, their trainer is selected. Mutta asks Murasaki about the training program, and later on a party is thrown for the trainees! 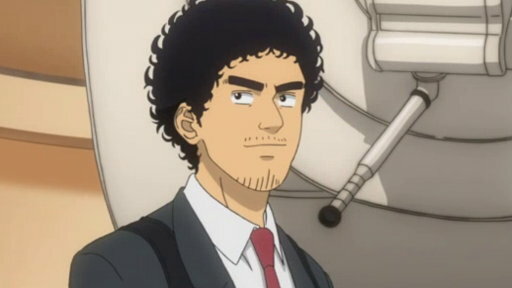 However, according to one source, Mutta’s future may be uncertain. Training begins, and it doesn’t start out easy! The group’s first test is a nice walk through the desert as survival training. Mutta's team find their rations and set up camp for the night, only to be told that they are presently last in the rankings. 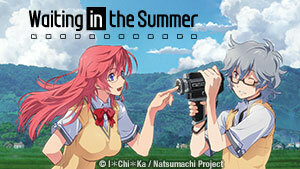 Nitta loses his phone, and he is expecting an important call, so he decides to go back and look for it. Mutta, as leader, chooses to go with him. Mutta and Nitta discuss their relationships with their brothers as they head back to camp. Kazuya researches the astronauts and, perhaps, gains some perspective. Mutta takes a stroll down memory lane and reminisces about how he was first admitted to the JAXA training program. 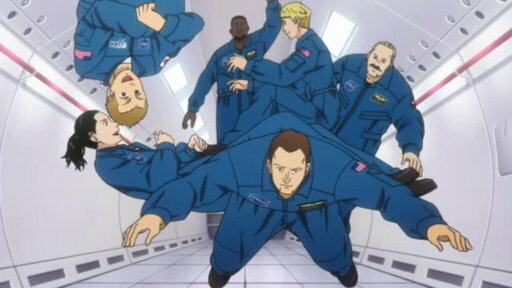 Mutta’s recollections of his training program admission continue, with his memories of the moon accident. E54 | Do I Have Good Luck? Continuing his deep introspection, Mutta recalls both his JAXA exams and Hibito’s launch to the moon. When Mutta develops a fever, his team must decide whether to push on for the final day of survival training or retire. The pressure mounts for Pico as the parachute he designed for Hibito’s return to Earth will soon be put to the test. Mutta’s team puts their design for a space rover to the test now, as Azuma embarks on a journey to the moon. The mood turns rather somber as Mutta and Vince share their introspective insights with one another. Vince and Pico reminisce about their childhood friend, Rick, and the tragedy that took place between the three of them. The time of the launch looms near, forcing Mutta and his team to come up with… innovative solutions to some last-minute design flaws. 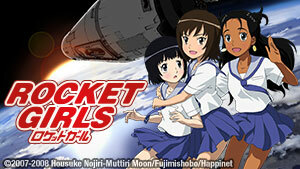 Hibito and his two flight mates begin to travel back to Earth, as Mutta’s group reflects upon their time together. Back on solid ground, Hibito, Damian, and Linda begin to acclimate to Earth’s gravity again as Mutta receives a grim premonition. The AsCans begin a rigorous, three week flight course while Sharon consults a university professor interested in her telescope proposal. Fearing that she has inherited a lethal disease from her father, Serika undergoes a series of neurological tests. Mutta meets Deneil Young again, after another attempt at the exam, proving to be more successful than the last. After a rocky -- and messy -- start in the cockpit of a T-38, Mutta buckles down and commits to flight training. Hibito gets ready to meet with JAXA and Sharon in Japan as Mutta faces a challenge in the form of the T-38’s multi-faceted controls. Sharon’s symptoms have begun to affect her talent for the piano. Meanwhile, Hibito struggles with balancing his obligations to the press and his personal life. All of his hard work finally pays off as Mutta finishes his pilot training and is officially recognized as an astronaut. Mutta is offered a spot on an upcoming mission that could prove to be a huge opportunity, but lingering doubts complicate his choice. Mutta senses that something is off with Hibito, as the two are selected to be featured on a magazine cover. Hibito’s panic disorder is affecting his everyday life, but he is adamant about keeping his condition secret from Mutta. Mutta submits a proposal, extensively outlining an idea to prevent vehicular collisions on the lunar surface. Mutta’s proposal is well received, though he still struggles to convince Mr. Butler that he’s ready to train for lunar missions. Having looked into Mr. Butler’s past, Mutta comes up with a plan to convince him to allow his training for lunar missions. While Mutta persuades Chief Butler to let him begin lunar mission training, Hibito attempts to overcome his panic attacks in Russia. Hibito wrestles with his emotions while trying to conquer his panic disorder. Ivan Tolstoy, the Russian astronaut, shows Hibito some old videos that may provide inspiration. With the inspiration provided by Ivan and his daughter, Olga, Hibito once more dives into treatment, and Ivan may have an uncommon method to get the ball rolling. Hibito prepares to leave Russia as he is given the news that both NASA and JAXA have called him back to Houston to support the teams there. As Mutta starts his NEEMO training in preparation for lunar missions, Hibito returns to Houston, Texas. 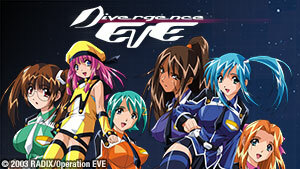 Mutta ventures underwater during his first NEEMO training and discovers that the sea can be just as deadly as space. In the ocean, Mutta is excited to be teamed up with Kenji, but this may turn out to be more of a curse than a blessing. Despite their nearly seamless teamwork, the knowledge that only one of them can make it onto the moon mission may cause both Mutta and Kenji’s performance to suffer. 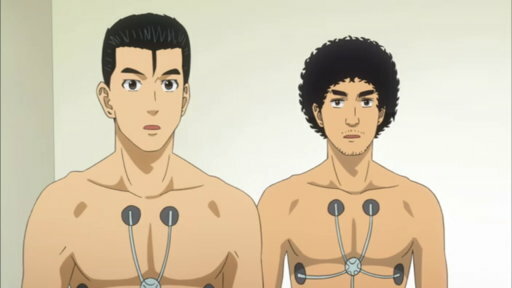 Being forced to compete with each other for a spot on the moon landing team, Mutta and Kenji are both caught off guard. Can Andy’s counsel save Mutta from himself? With the shock wearing off, Mutta and Kenji are beginning to calm down and work together to construct their Moonbase. Hibito keeps up with his treatment in Houston. Meanwhile, Mutta continues to impress people within NASA and finishes his NEEMO training. Mutta is finished with NEEMO and waiting to hear who’ll be going to the moon. Hibito finishes his therapy and must now prove that he can venture into space once again. With only a single test standing between Hibito and his reallowance into space, sound counsel comes from an interesting source. Kenji and Nitta are left to pick up the pieces and discover their own paths, after Mutta is chosen. Hibito prepares to begin the test that will let him know if he can get back to work, but a surprise from Chief Butler awaits him. While Hibito is undergoing the test that will determine his future, Chief Butler initiates his own test for him, but malfunctions may cause even more issues. After Hibito’s test results are announced, Mutta gets himself pumped up to begin his backup training for the mission to the moon. Mutta perseveres through his desert training for his role in the upcoming lunar mission, while Sharon faces NASA with a new lunar telescope pitch. Having been spoiled to teammates that enjoy working together, Mutta is taken aback as his assigned team seems unable to work as a unit. The team is assigned a leader, Eddie Jay, and he wastes no time whipping the team into shape with a run and getting them to open up to each other. As Christmas approaches, Mutta takes a break from his training while Nitta and Kenji are informed of their newest mission. For New Year’s, Mutta and Hibito are partying together in Houston! While Mutta is having a blast, Hibito seems a little less festive. With his brother missing, Mutta finds it difficult to focus on his training, but Chief Butler has some supportive words for him. The launch is just ahead and the two brothers don’t have much time to focus. With Mutta worried about Hibito, he makes a detrimental mistake.